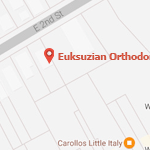 At Euksuzian Orthodontics, our passion is creating incredible smiles for people of any age. 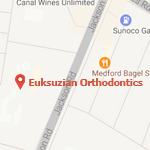 We’re proud to be a premier orthodontic practice providing world-class orthodontic treatment to children, teens, and adults throughout both the Medford & Moorestown, NJ areas. We incorporate groundbreaking, cutting-edge technology into every aspect of our treatment, ensuring that we always provide superlative orthodontic care to our patients. Our mission is quality above all else, and we work hard to ensure that every patient doesn’t just finish their orthodontic treatment satisfied – they finish with a smile that’s healthier and more beautiful than they ever thought possible. Absolutely! The truth is, we can move healthy teeth at any age – so you’re never “too old” for braces. Plus, new technology means there are more treatment options and alternatives than ever before. Does having misaligned teeth really matter? Why should I care? On one hand, having a beautiful smile is a confidence booster: our patients always tell us that everything from presentations at work to social situations are easier with a perfect smile. Even more than that, crooked teeth present hiding places for bacteria and food, which can eat away at teeth over time. A beautiful smile will allow you to keep your teeth cleaner and healthier in the long-term. Never! Age doesn’t matter when it comes to moving teeth: all that matters is that your teeth and gums are healthy. In fact, roughly a quarter of our patients are adults, often in their 50s and beyond. Do I have to wear braces? Is there another way to move my teeth? If you want to avoid wearing braces but still want a better smile, you’re in luck. Advancements in orthodontic technology now let us offer new, convenient alternatives to traditional braces. Invisalign is a new treatment that does away with metal brackets and wires entirely, instead using clear, removable plastic aligners to straighten teeth. With Invisalign, almost no one will know that we are straightening your teeth, you can still enjoy your favorite foods, and maintaining oral hygiene is a breeze – making for a very convenient treatment option! I have missing teeth. Can I still get braces? Absolutely! In fact, braces can be even more beneficial for people with missing teeth. When a tooth is missing, the adjacent teeth can drift into the empty space, which causes gum problems. 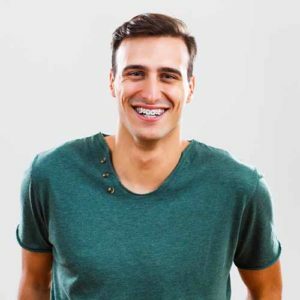 We can use orthodontic treatment to correct and prevent these problems, and we can also coordinate with your dentist to effectively replace your missing teeth. The cost of treatment varies from patient to patient, and it’ll depend on the specific treatment plan you’ll need. That said, orthodontic treatment is an investment in the long-term health of your teeth – so paying for orthodontic treatment now can generate huge savings by preventing expensive dental repairs later on. We’ll talk with you about the cost of treatment during your first visit, and we also offer a variety of financing options to make payment even easier. Also keep in mind that as an adult, you’ll often need less extensive treatment than teenagers, which will bring the cost down. I’ve heard of something called lingual braces. What are those? Lingual braces work the same way as braces, with one key difference: they’re mounted to the inside (tongue side) of the teeth! They were much more common in the past, and while they’re still an option for a truly invisible form of treatment, they’re not used very often now. Lingual braces are less comfortable than standard braces, take longer to get used to, and they’re also more expensive. We’ll generally opt for other options like clear braces or Invisalign to achieve the same benefits as lingual braces. Every insurance policy is different, but many insurance policies have an orthodontic benefit that’s separate from dental insurance. We’re happy to reach out to your insurance company to check the details of your coverage, or if you prefer, you can contact them directly. Truly, orthodontic treatment is an investment in your best asset – your smile – and one that pays off for decades after you finish treatment. We’re proud to have helped countless children, adults, and patients of all ages in the Medford and Moorestown areas achieve a healthy, beautiful smile, and we strive to maintain a gold standard in both the quality of our care and our customer service. If you’re ready to take the first step to a gorgeous new smile, feel free to give us a call at (609) 654-0600 for our Medford office or (856) 234-2992 for our Moorestown office, reach out to us at our contact page, or book an appointment using our easy online form.